Description: Historians are those that study the past and write about it. They are thought to have regarded authority on it. Historians are concerned with the continuous, methodical narrative and research of past events as relating to the human race; as well as the study of all history in time. Throughout time Magicians have been known to be an extremely studious people. Being a Historian simply is one of the many paths a Magician could choose. For where would we be without historians. They remind us of the past so we may not repeat our mistakes. Lestacia is constantly studying off screen and because of this can learn the entire history of a nation after 3 threads. She'll only have access to public knowledge however. She can Decipher damaged scripts and markings in a matter of minutes depending on how damaged the thing she's reading is. Depending on the damage from D-A it is treated like a job and she must complete the wordcount in that current thread to decipher the damaged information. The same goes for coded information. There are no such thing as health potions or magical potions in Magi. Poisons are fine though, but you'd need more of an assassin or ranger class for something like that. 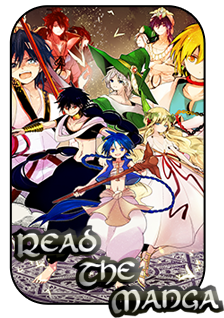 Remember that there are no "mages" or "witches" in Magi. So no one is brewing potions in a cauldron out in spooky forests. your primary profession is only allowed 3 perks. First off, you need to explain in your description how being a Historian is tied to your class. Learning the entire history nation after three threads is a bit short, how about Lest can learn about certain situations or events after a 1000 word post, more depending on the complexity of the subject. The third perk is fine, but you'll need to do get better at deciphering and repairing broken documents. So currently you can only decipher things that are slightly damaged. And you can work your way up by doing profession jobs or plotting to get help from more knowledgeable people at the time.